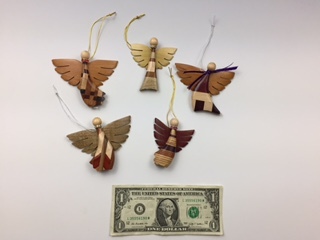 Small Ornament Sized Angels - Laminated Small ornament sized angels in laminated woods. Assorted woods and shapes (dancing skirts, foot forward, triangular body). Approximately 3" x 3".